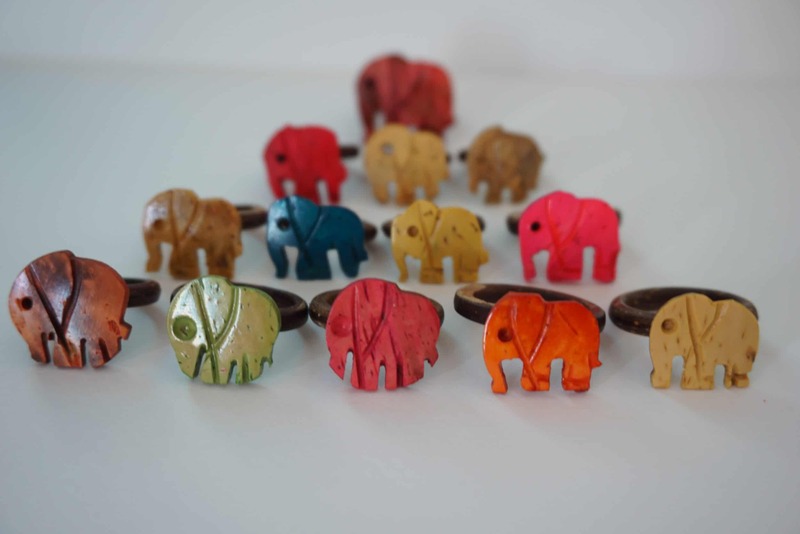 We have a range of beautiful, hand crafted coconut rings made by artisans right here on Koh Chang island. Each ring is made from the shell of a coconut and has unique color patterns which are the natural color tones of the coconuts shell. 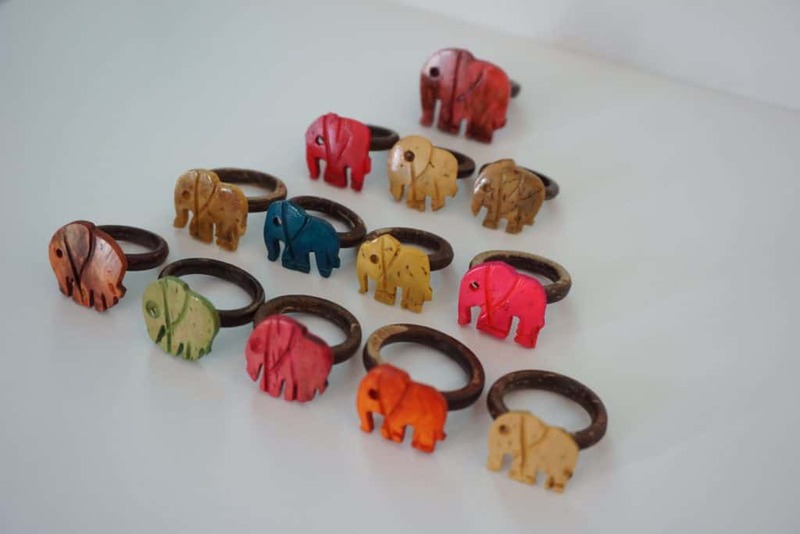 This coconut jewelry is light weight, yet surprisingly strong but please remember, the coconut rings are made from coconut shell and can resist some pressure, but when mistreated may also crack. Coconuts are plentiful in this part of the world and many people drink the coconut water for the many positive health benefits they contain. The meat of the coconut is also used in many Thai dishes and delicious and refreshing coconut shakes. After that, the body of the coconut either gets tossed aside or broken down as it makes for a very good mulch in the garden. One man here on Koh Chang decided to make more use of the abundance of coconut shells and now creates light fittings, lamp shades, vases, utensils, bowls, and jewelry. He usually works for commission projects only but we have a fine selection of coconut rings available to purchase directly from our site. Visit our store to find a unique gift. 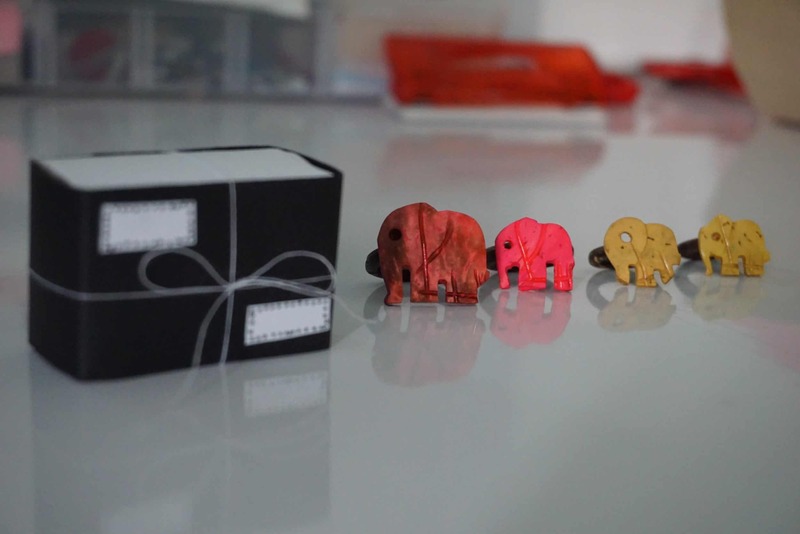 Our elephant jewelry is made with love from 100% coconut right here in Thailand. Each of our coconut rings are clearly marked with the appropriate ring size. If you don’t know yours, you can click here to find your ring size. Each ring is sent out in a bespoke jewelry box and we ship worldwide. So if you are looking for a unique gift or for something to remind you of your happy days in Thailand, a coconut ring may be just the thing you are looking for.